President Eisenhower’s vision of an interstate system was in full movement by the 1960s resulting in an explosion of contracts and a number of “firsts” for Kraemer. Over a 15 year period Kraemer was awarded numerous contracts on the interstate system in Madison, Milwaukee, and the Green Bay area. 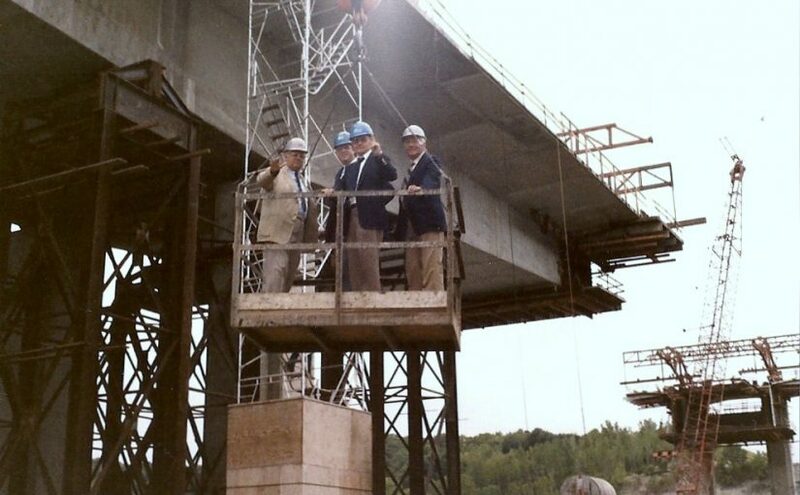 Significant events included: first out of state Bridge contract in Bettendorf, Iowa; first construction project in Minnesota – the 10th Avenue Bridge; first construction of a draw bridge in St Paul, Minnesota; first construction of a lift bridge in Milwaukee, Minnesota; and regional office opened in Burnsville, Minnesota. The 1970s brought Kraemer’s vision of expansion into other states to fruition by frequently winning numerous contracts outside of Wisconsin. Significant events included: founder Edward Kraemer’s death on October 23, 1973 and company expansion into Arizona, Colorado, Kansas, and Missouri.